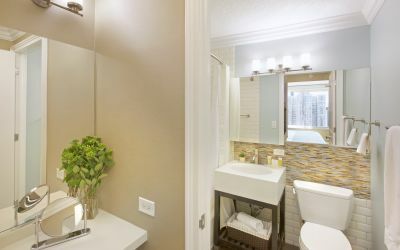 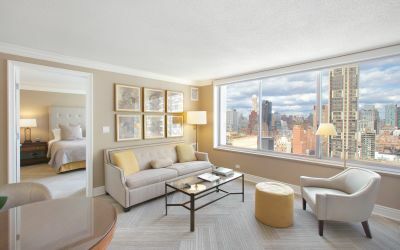 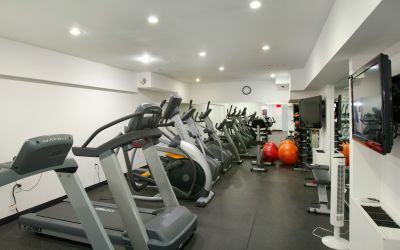 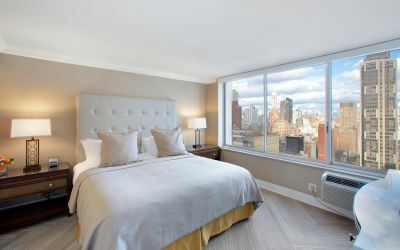 When traveling with groups or family, our connecting apartments for rent in Midtown are ideal. 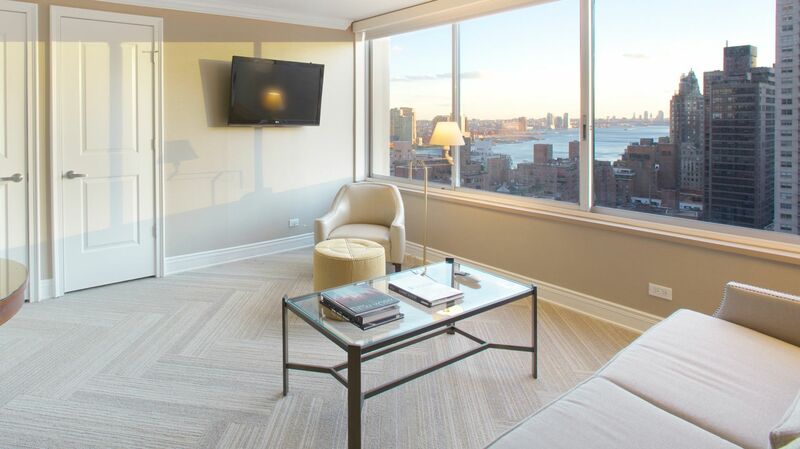 Complete with luxury amenities like free high-speed Wi-Fi, 42" TVs with HBO, fully-equipped kitchens and more, our New York serviced apartments ensure your stay is efficient and enjoyable from check in to check out. 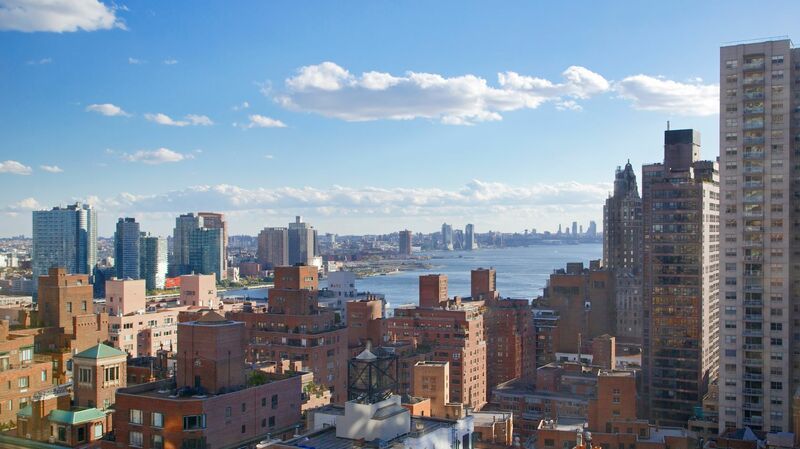 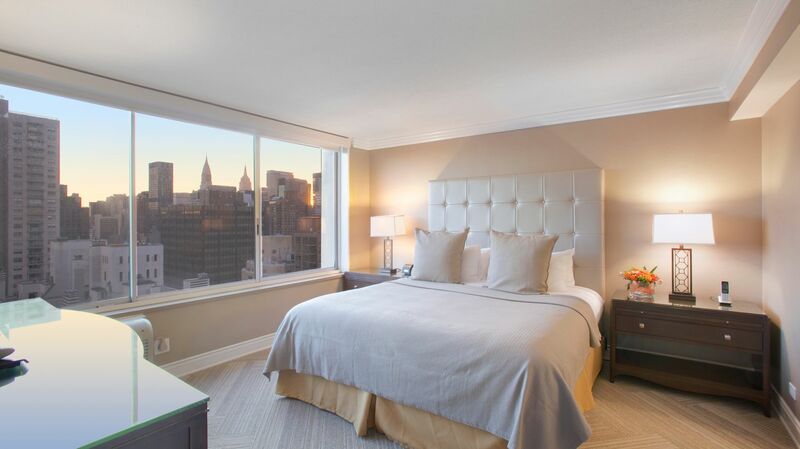 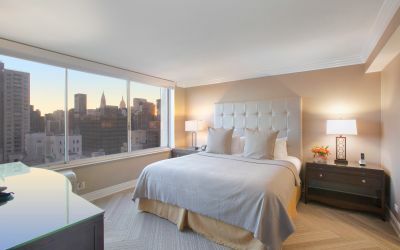 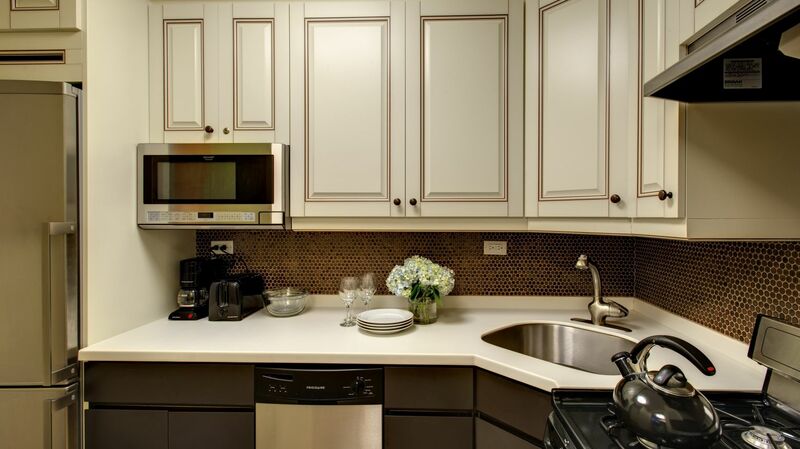 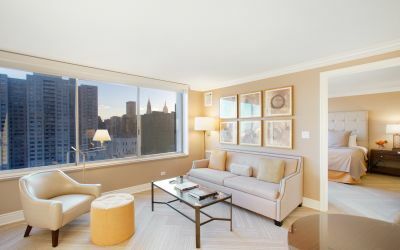 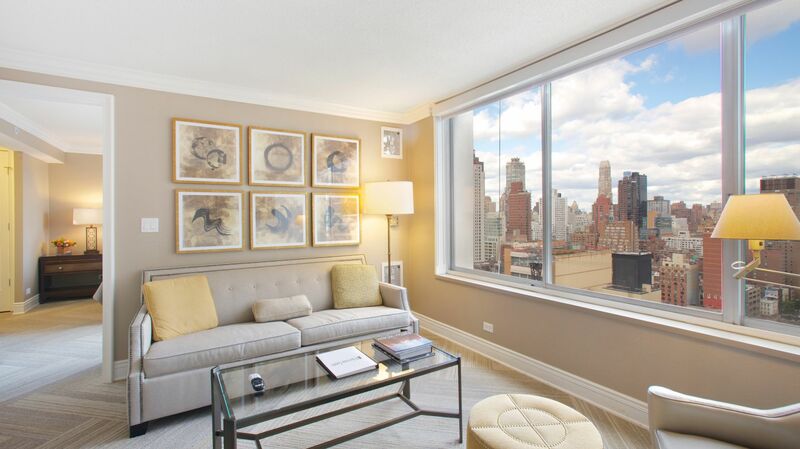 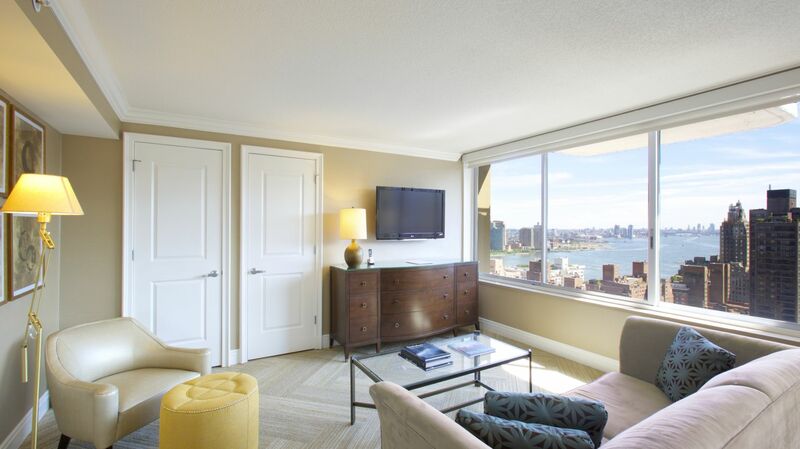 Browse our NYC hotel apartments below and contact us today to learn more. 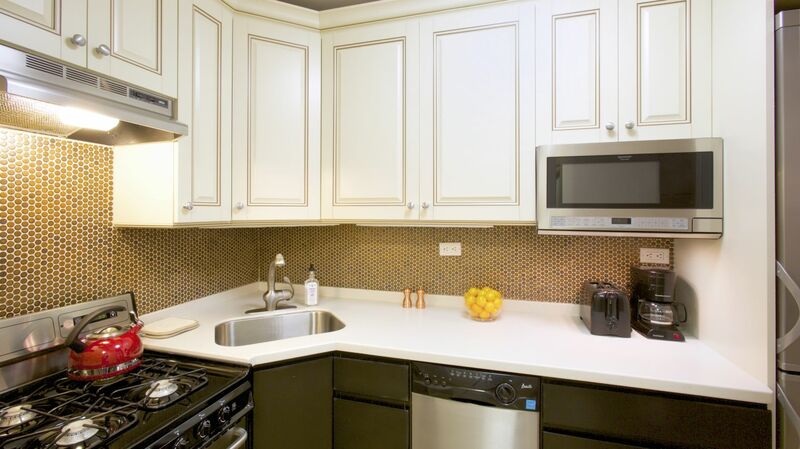 Featuring two bedrooms across 1,220 square feet. 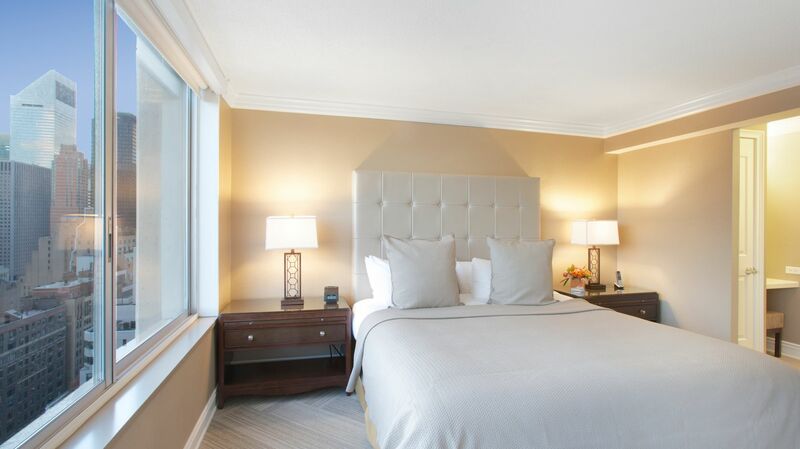 Our connecting apartments give you large amounts of space. 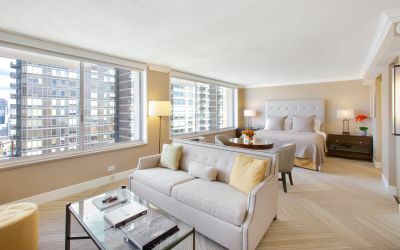 Ideal for families or traveling friends, these Two Bedroom Suites let you sprawl out and relax. 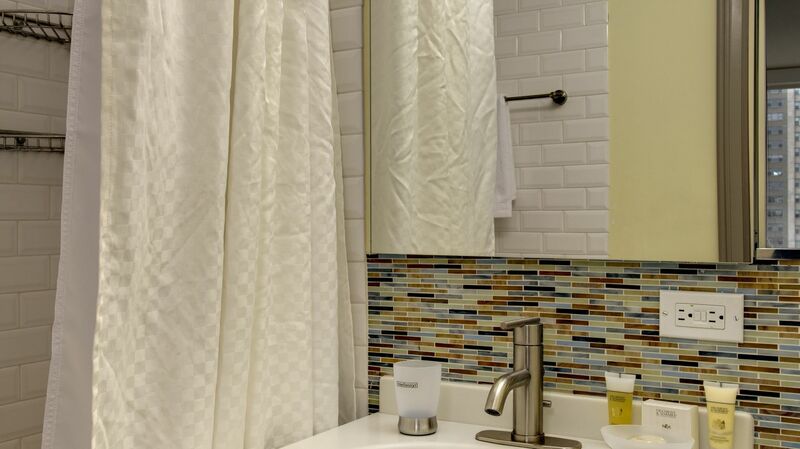 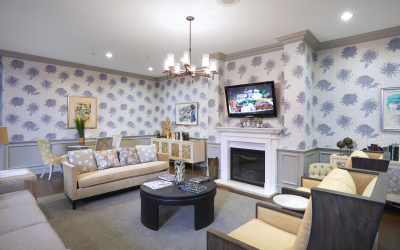 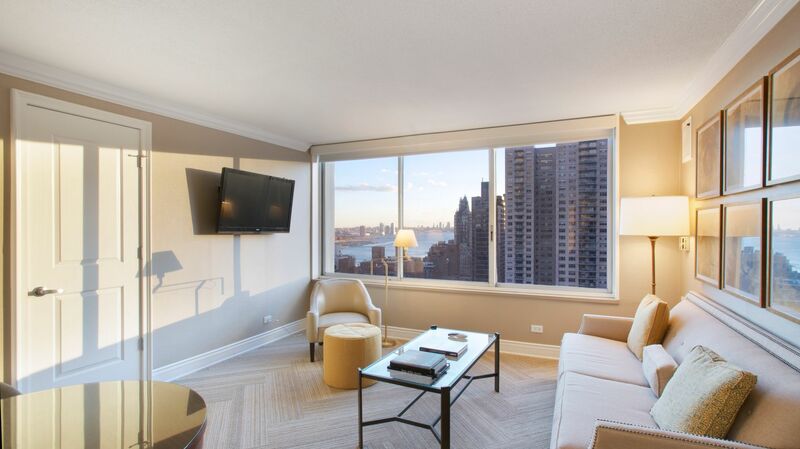 Enjoy our collection of luxury amenities, as well as our attentive service, during your extended stay in New York. 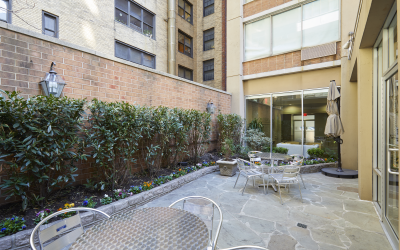 Dining area with seating for six people.